Nearly 120 people including several volunteers from the local community were working to eliminate the residue of a months’ old spill into local rivers in the Northwest Russian Komi Republic after pipelines owned by the Rusvietpetro sprang a leak as far back as winter, officials in the region reported Tuesday. 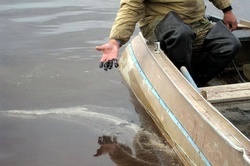 The spill, which has been hushed for days by the local administration in the Komi Republic, according to activists and independent journalists, was first noticed on May 22, when local residents of Kolva Village began to see huge slicks of oil flowing down the Kolva River toward the Pechora River, and further out to the Barents Sea. A Bellona source within the Komi administration, who spoke anonymously because he was not authorized to discuss the event, said in an email interview that the leak has been stopped, but that reaching estimates on how much oil spilled, as well as establishing the reason for the spill, will be difficult. Greenpeace International reported in a June 4 posting that 100 tons, or 730 barrels of oil had leaked into the Kolva river. According to various reports, “oil containing liquids” began issuing into the Kovla River due to a loss of integrity in an underwater pipeline owned by Rusvietpetro, Russian-Vietnamese joint venture. The Komi administration source that the pipeline ruptured as early as winter, and that the sludge was only now becoming visible. 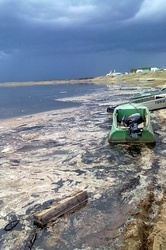 Activists groups have suggested that Rusvietpetro is in the habit of hiding its spills, and the Bellona source said that the current spill was a case in point. “Apparently, Rusvietpetro concealed the pipe burst because its general director, Viktor Abmayev, was due for a promotion, [and] as soon as [the promotion] came down, the company stopped hiding its responsibility for the burst,” said the Bellona source in the Komi administration. Spokespeople for Rusvietpetro’s headquarters in the Komi Republic would not respond to several telephone requests for comment from Bellona on Wednesday on the Komi administration source’s remarks. Since the initial gagging of local reporters, the official government portal of the Komi Region has begun to publish sketchy statistical information on cleaning efforts nearly daily, but the site has not posted any information on the amount of oil spilled. The first reports about the oil slick coating the surface of the Kolva River began to pour into Greenpeace Russia on May 22, the day the leak became visible to local residents. 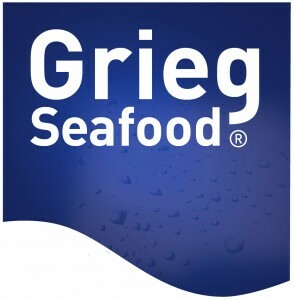 Greenpeace then began to publish witness reports from the site on May 27. The official Komi Republic portal did not begin to publish information on the leak or clean up efforts (in Russian) until June 4, causing a delay in official information about the spill of eight days. But he also promised to bring those responsible to account, adding further that the spill is evidence of extreme negligence practiced by those responsible for maintaining the pipeline. “They must answer in full for what happened and I request that law enforcement agencies take this matter into special consideration, and that the punishment must be harsh,” said Gayzer. As of Tuesday, the Komi portal reported that 235 cubic meters of oil sludge had been collected from the surface of the Kolva river and that some 130 cubic meters remained to be siphoned off. It also said that 23,350 meters of riverbank had been cleaned, and that 2,210 meters of oil blocking booms had been laid out. But Greenpeace reports collected by local activists and journalists indicate the initial responses from officialdom in late May were far from helpful. According to Greenpeace, local residents did exactly that, with an apparent offer from the Komi Administration of 10,000 rubles ($300) per barrel of oil recovered. 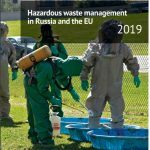 As of the official report from the Komi Republic portal on Tuesday, clean up efforts were indeed comprised of several local volunteers, but that of the 117 working to clean up the spill, only 11 are from Rusveitpetro, the company responsible for the leak. Other spill liquidation workers come from the specialized emergency cleanup group Nature, which has supplied 94 personnel. Local prosecutors, meanwhile are struggling to evaluate the extent of damage caused by the spill because the ruptured Rusvietpetro pipe has been replaced. 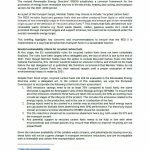 This makes calculating the amount spilled and the monetary damages that should be assigned difficult. But local prosecutors in this oil spill prone region do not expect matters to go further than the initiation of a light administrative violation case. 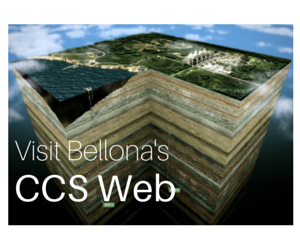 Bellona’s source in the Komi administration said that the fines that may eventually be levied will not equal the cost of cleaning up the spill’s aftermath.